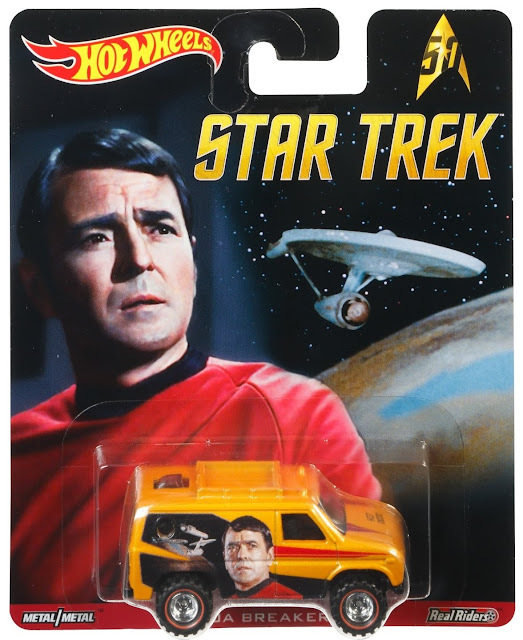 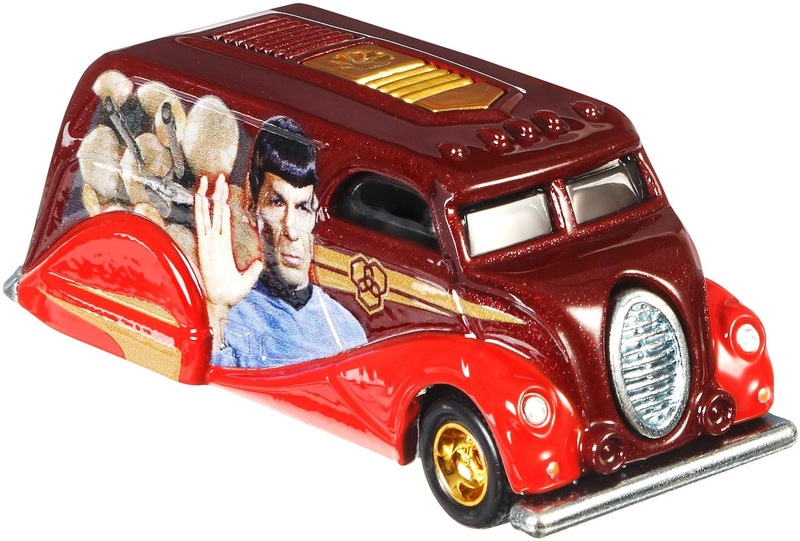 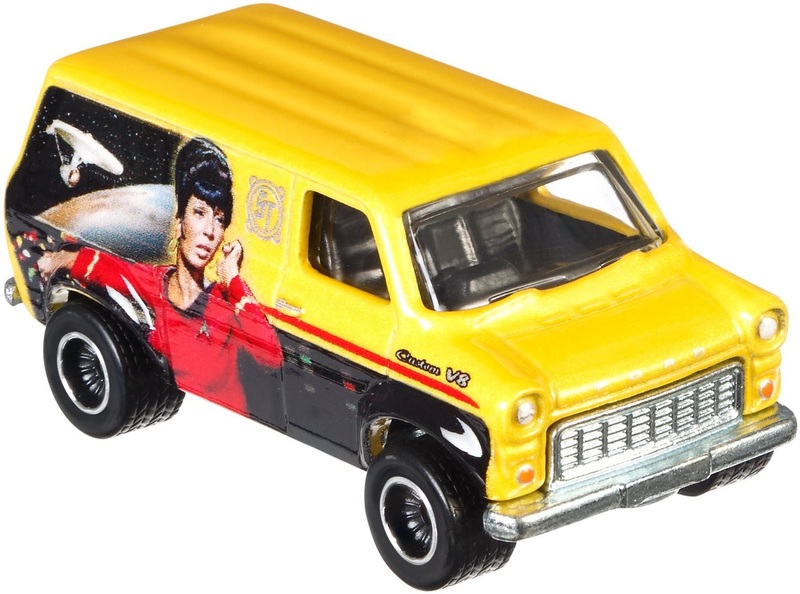 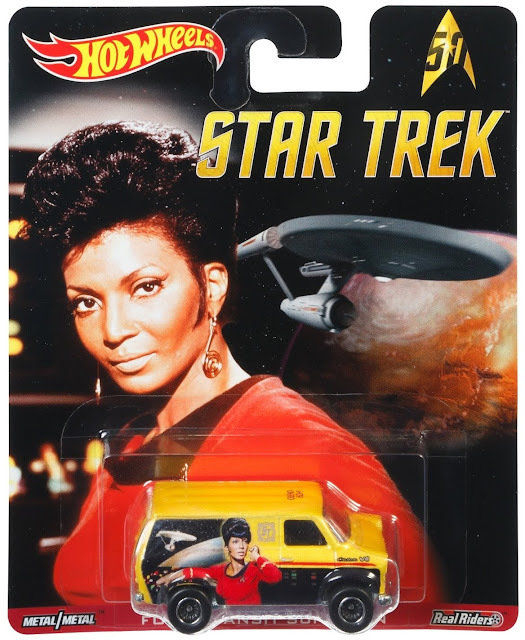 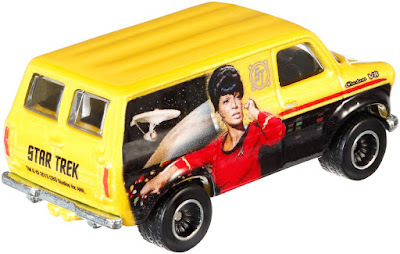 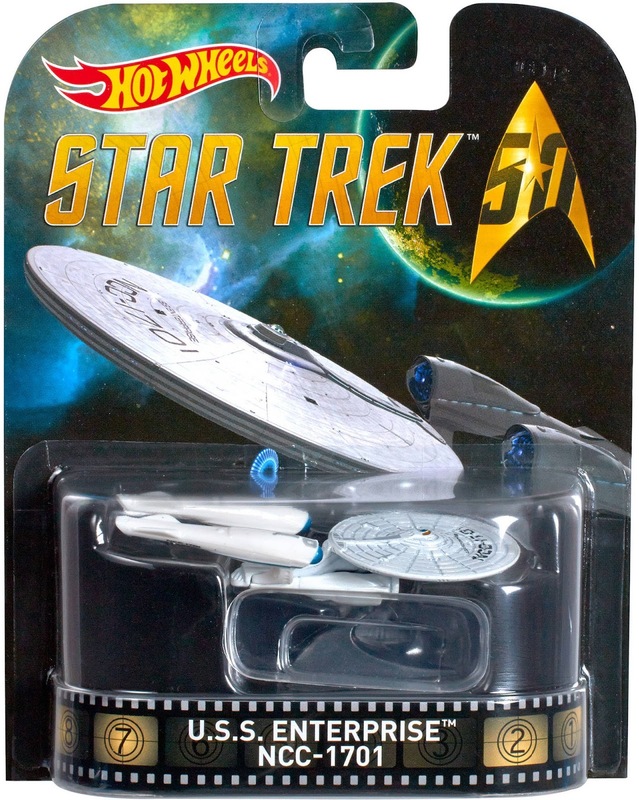 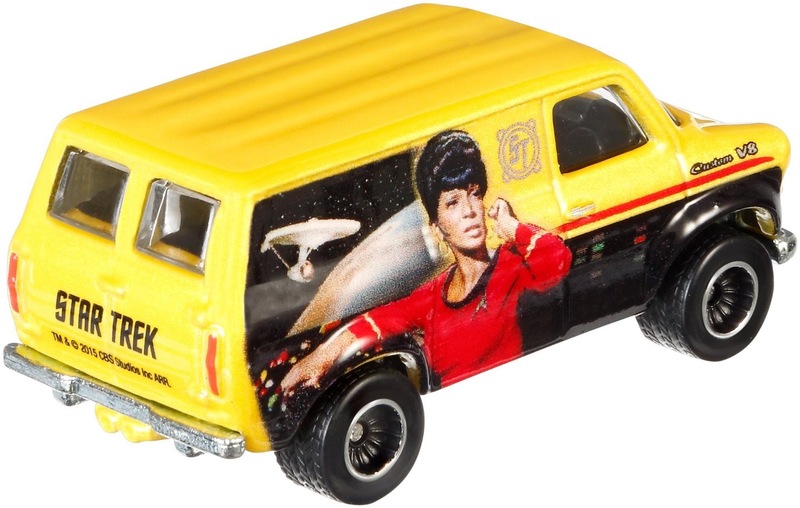 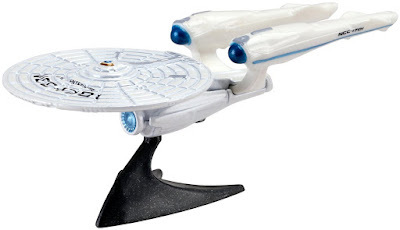 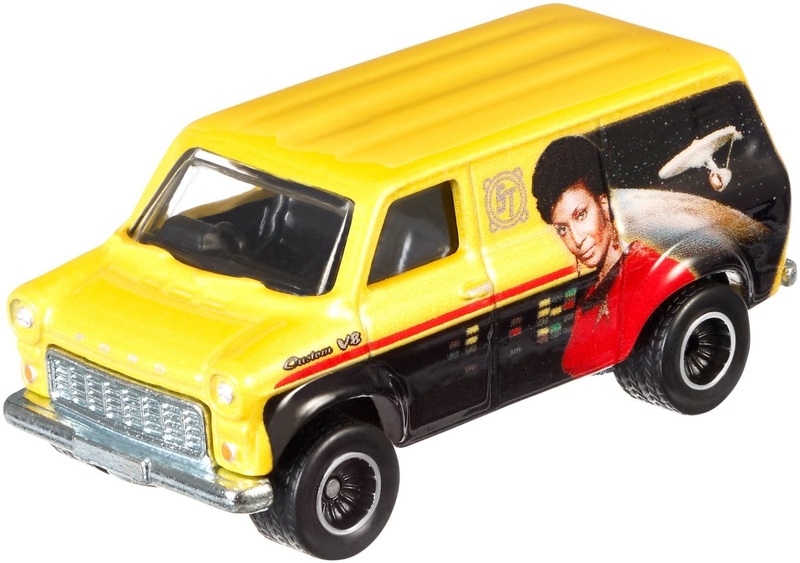 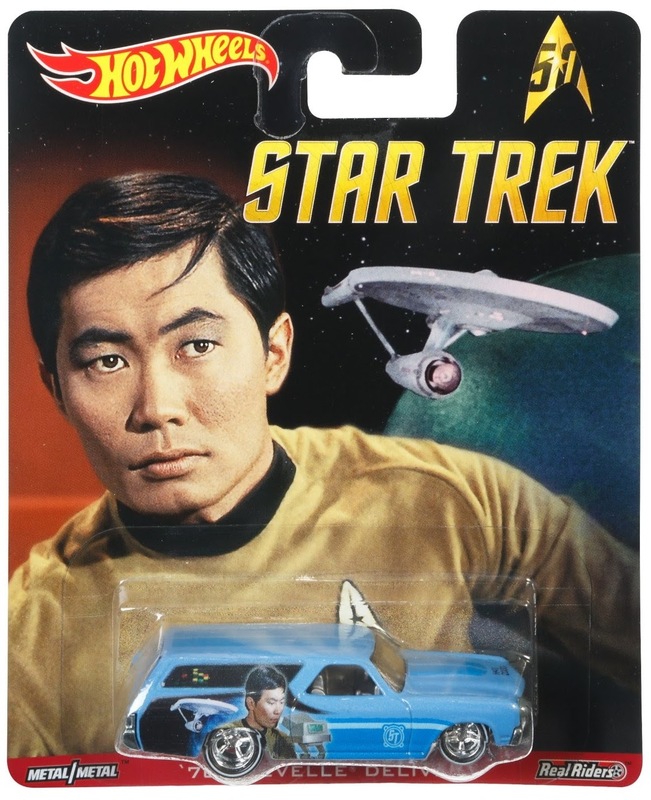 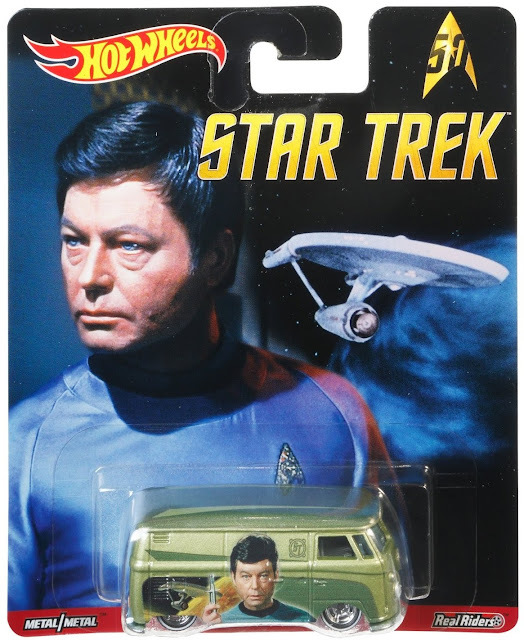 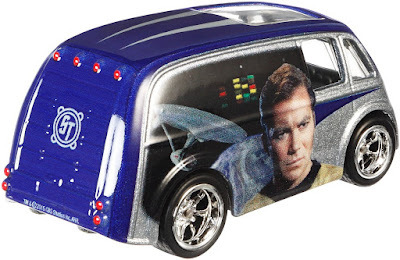 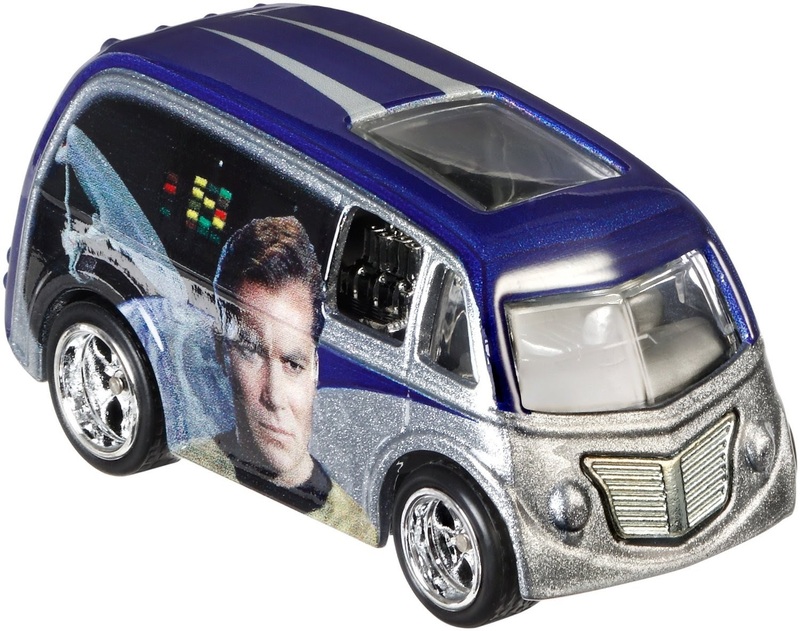 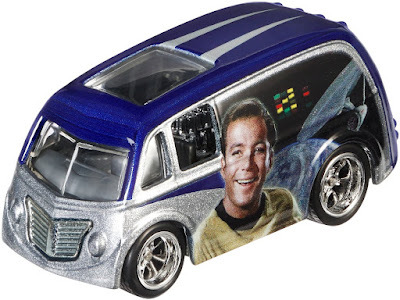 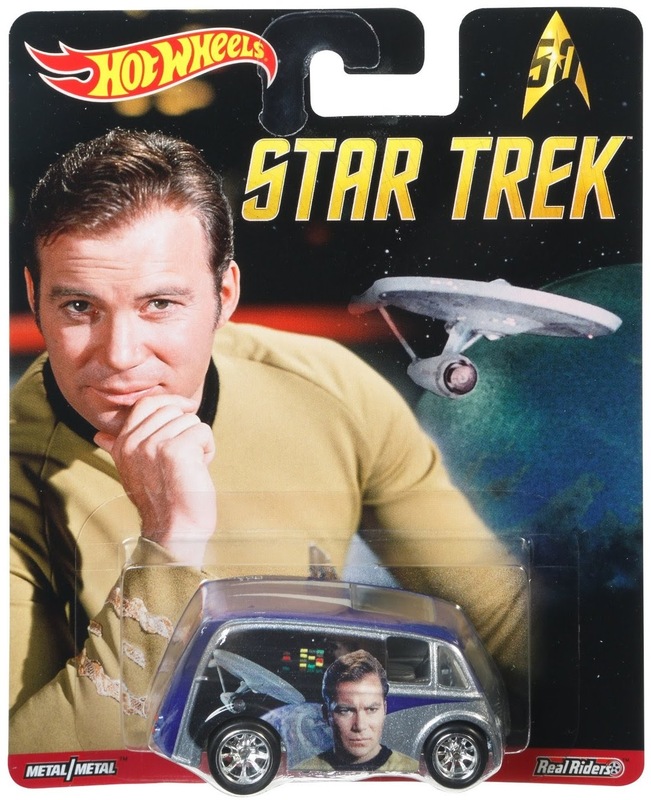 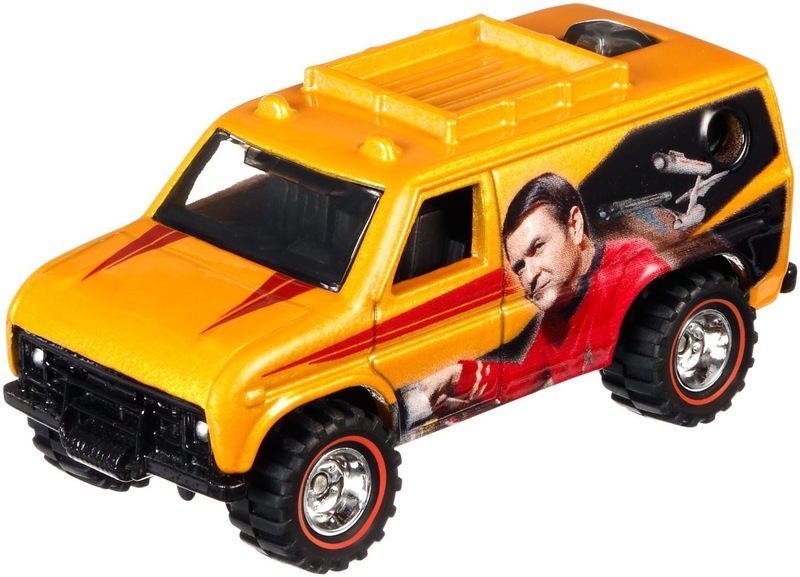 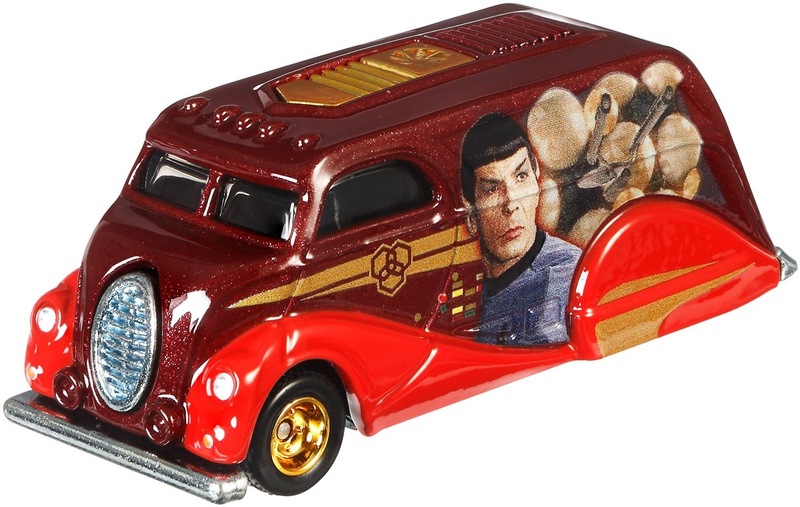 A round-up of Hot Wheels' latest Star Trek releases below, starting with their newly announced Comic Con exclusive. 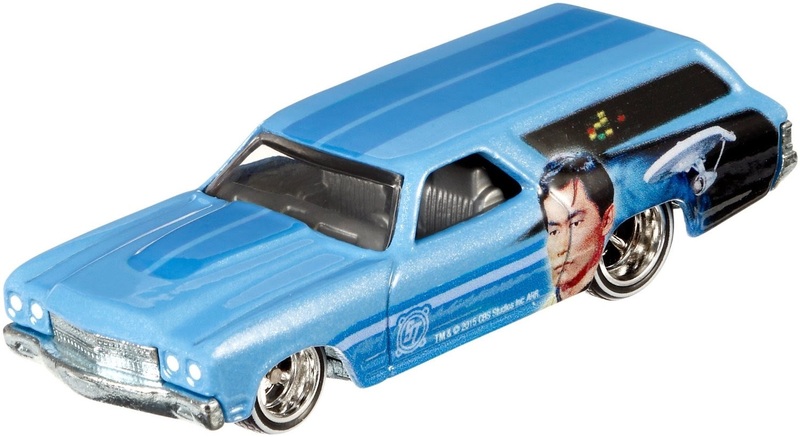 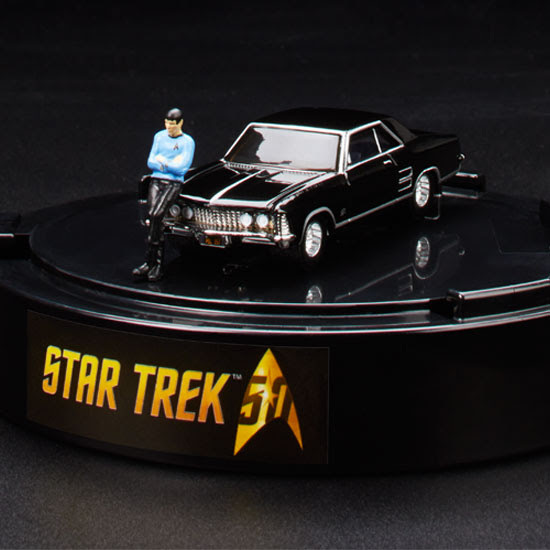 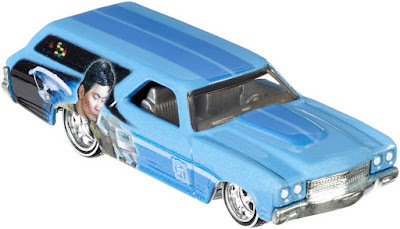 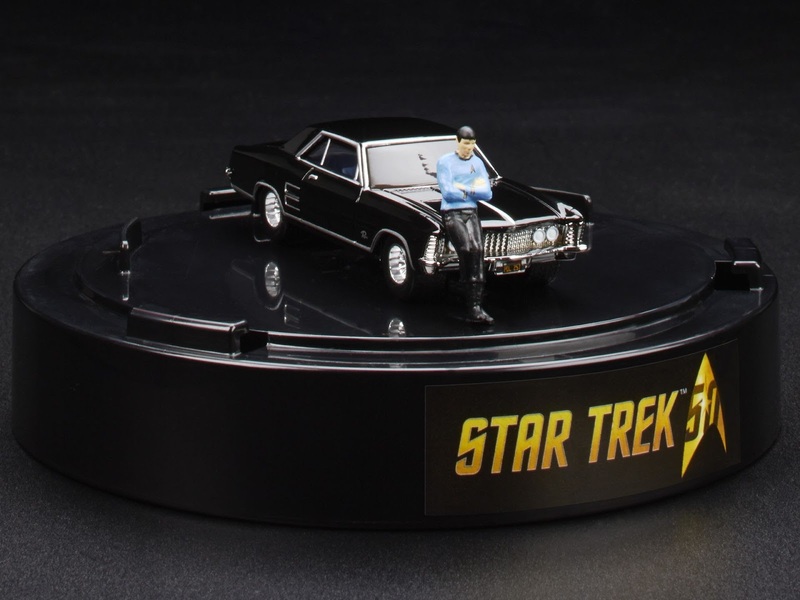 Available at the San Diego Comic Con in July will be 1964 Buick Riviera, with a tiny model Spock sitting on the bonnet. 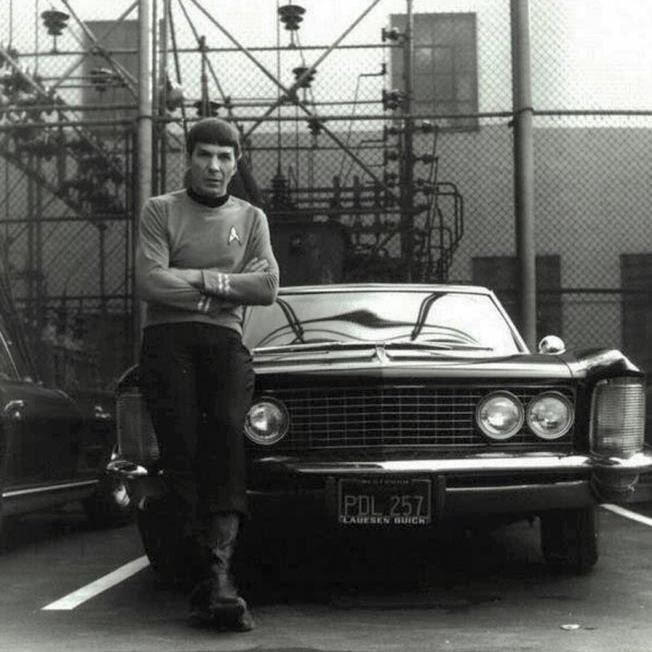 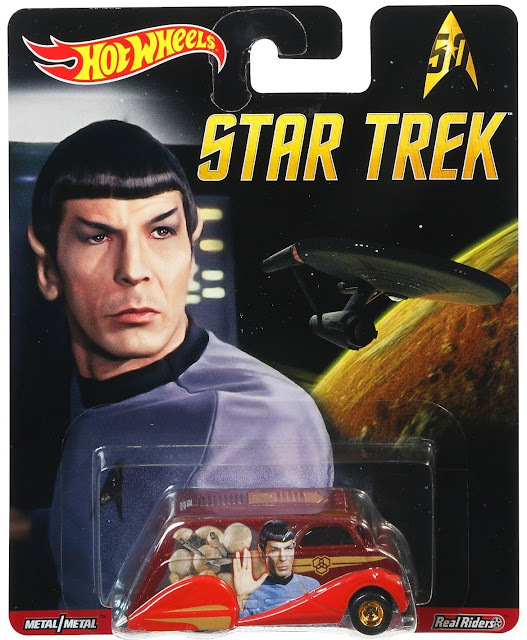 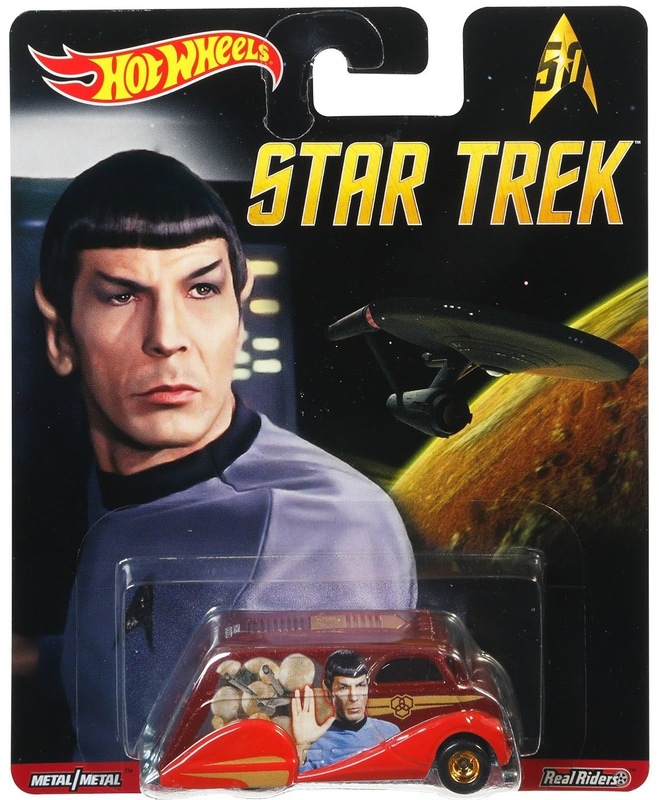 This recreates a well know photograph of Leonard Nimoy with his car, taken during the production of Star Trek. 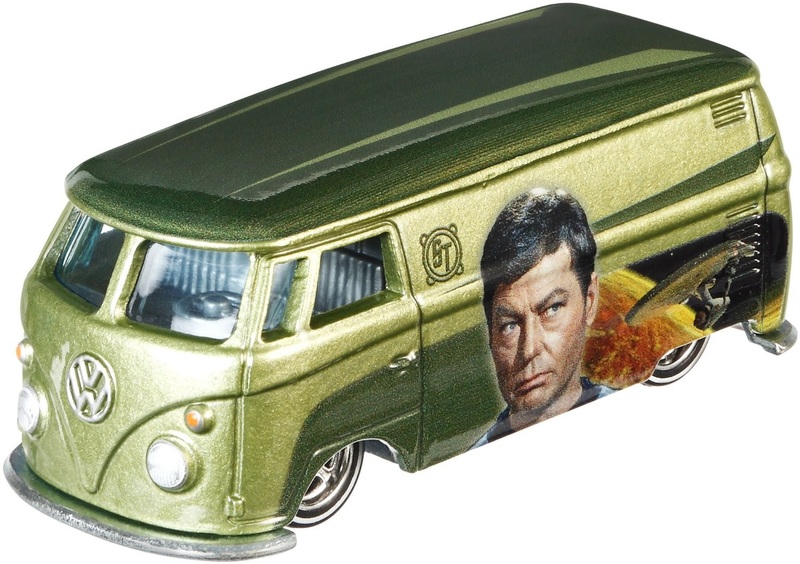 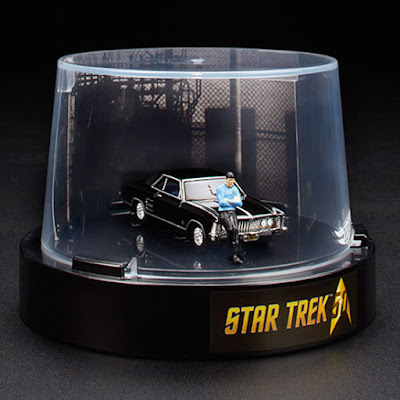 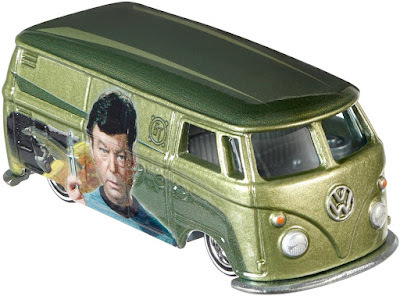 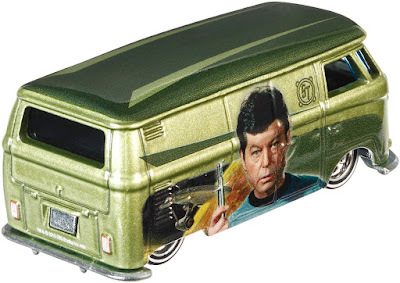 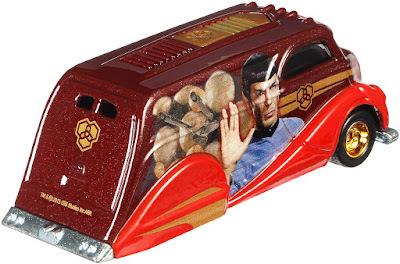 The car and figurine come in a display case emblazoned with the 50th anniversary logo, and with a backdrop recreating the original photograph. 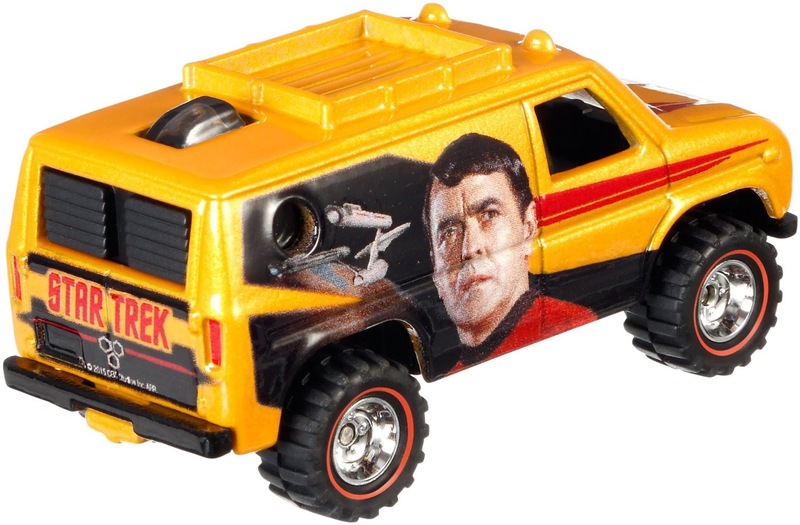 For a look back through all the previous Hot Wheels releases, see my Trek Collective Lists for starships and cars. 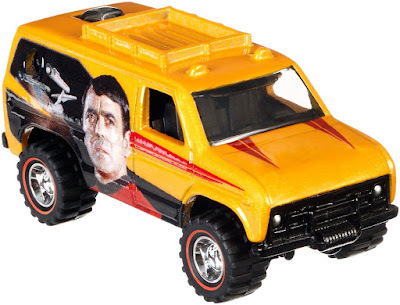 Thanks to Darth Duranium and Carwyn John for pointing me to some of the above on Twitter.